"Helping inventors with the invention Process"
Come and visit the group @ our next meeting! 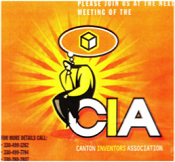 The Canton Inventors Association "C.I.A." was started by Frank Fleischer in 1999 as The Canton Inventors Council. The small group meets casually without dues, to discuss their inventions and to share ideas and experiences. The group is designed to help the individual inventor — the little guy — and is open to anyone who wants help with their invention or desires to help others. The mission of the Canton Inventors Association is to connect inventors with other inventors, share their experiences, shield them from swindlers, and expose them to good resources. Inventors and anyone with an entrepreneurial spirit are welcome at any monthly group meeting. The "C.I.A." group meets on the first Tuesday of every month at 6:30pm inside the DeHoff Realty building. We gather in a meeting room on the lower lever and the address is: 821 S Main St, North Canton, Ohio 44720. The Canton Inventors Association often has guest speakers who speak to our group. We book speakers from around the country via Skype, along with local professionals within the inventing and small business communities. E-mail us & Connect with C.I.A. Today! C.I.A. 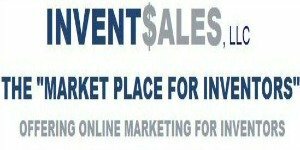 is now helping Inventors market their Inventions online. Click image below for details! Helping our Local Inventors Succeed!